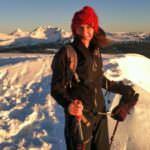 Plan Your TripAsk OregonOutdoor AdventureAre most mountainous areas in Oregon, particularly the Cascades, free of snow in June? That’s a great question. Depending on the amount of snow we get this winter and how warm the spring is, much of the Oregon Cascades can still be under snow in June. It’s the time of year, however, when trails do start to open up and there will definitely be some trails free of snow. Late June is also a perfect time to start looking for wildflowers! The short answer to your question is that the lower elevation trails will be snow-free and the high alpine (say, above 6,000′) will most likely still be under snow. Also, trails on south-facing terrain will be less likely to have snow than trails north-facing terrain that see more shade and cooler temperatures. The Columbia River Gorge will offer some great snow-free hiking during June, and there are some incredible views of waterfalls and mountains to be found on many of those trails. The trails around Mt. Hood will be a little bit more dependent on the pace of the snowmelt.